The perfect event for the Fort Myers area homeowner who is planning for the year ahead. The Fort Myers Home Show features exhibitors with fabulous ideas for consumers. 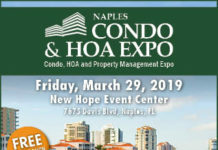 This event is one of the most comprehensive consumer home shows in Florida. During the two-day show, you will find the latest in products and services for home improvement. 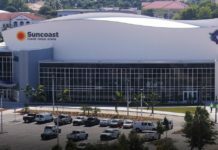 Builders, contractors, kitchens, baths, garden displays, landscapers, pools, spas, security systems, garage doors, driveways, windows, solar, and much more will fill the Suncoast Credit Union Arena to create wall-to-wall displays and exhibits for all your home needs. 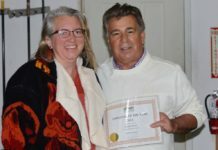 Most importantly you’ll have the opportunity to speak directly with experts and receive the advice and inspiration you need to turn your dream home or other home improvement project into a reality. In addition to all the exhibits and displays, you will have the opportunity to meet award-winning cookbook author and celebrity chef Warren Caterson who will be presenting a variety of temptingly delicious in-home culinary experiences for every situation, palate, and budget. Chef Caterson is a full-time writer and foodie. He has studied at the Southeast Institute of Culinary Arts. You too can learn how to cook healthy, using easy to find local ingredients. Chef Caterson has many creative kitchen tips to fit every budget. It makes no difference if one is cooking for two or two hundred. He is convinced that life, joy, and communion can be found in a freshly prepared and shared meal. Be sure to visit the Chef at the show. 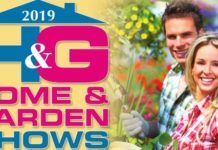 The Fort Myers Spring Home Show will take place Saturday and Sunday, April 6 and 7 at the Suncoast Credit Union Arena at Florida Southwestern University (13351 FSW Parkway, Fort Myers). For more information, visit www.fortmyershomeshow.com, or call 877-730-7469. 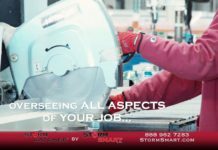 While you are at the show, be sure to stop by booth 323-422 to say hello to one of our Storm Smart representatives. Get In Touch. Contact Us Now! Please fill out the form below to contact us with any general questions or comments you may have. If you need to send us traditional mail, please use the address listed below. 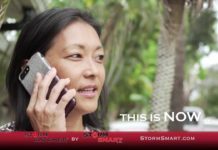 Storm Smart does not sell or knowingly transmit information to other sources. Any email inquiries or information collected from this website will be used solely for communication purposes and will not be added to any ‘opt-in’ mailing lists or sold to any third party.